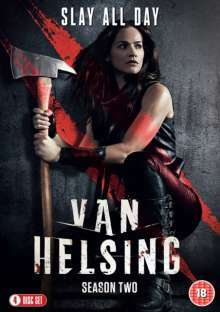 Der Artikel Van Helsing Season 2 (UK Import) wurde in den Warenkorb gelegt. Science Fiction / Fantasy (13 Episoden), 585 Min. All 13 episodes from the second season of the US fantasy drama starring Kelly Overton. After awakening from a three-year coma, Vanessa Van Helsing (Overton), a descendant of the legendary Professor Abraham Van Helsing, becomes the leader of a resistance movement tasked with fighting back against the hordes of vampires which have taken over the world.